How quickly can I expect results from Magnum Acid? If you take Magnum Acid™ correctly (6 capsules per day on an empty stomach), you should start to see noticeable results within 2 weeks; however, we have had many customers & athletes notice a difference in their abs and buttocks in the first week! 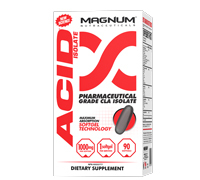 What results can I expect from taking Magnum Acid? If I forget to take my 2 softgels of Magnum Acid at lunch, should I take 4 before dinner? Yes! 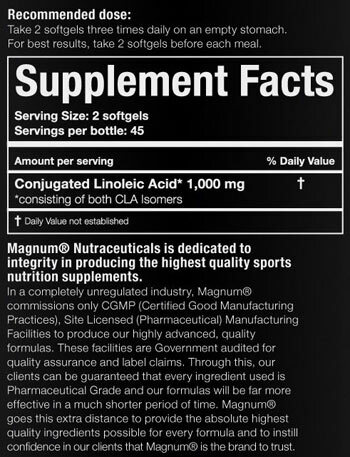 It is critical to take 6 capsules of Magnum Acid every day, so if you miss one serving, double-up later.